Jurassic Kingdom is aimed at children, young people, and their families, with over 30 animated dinosaurs with electronic moving parts on display. Like lots of children, my boys are big fans of dinosaurs, they loved the BrickDinos exhibition they went to see earlier this year; the fossils and replica dinosaurs at the Natural History Museum in London, and even just walking along the Jurassic Coastline in Dorset. They are really looking forward to seeing the animatronics which we've read will include arms moving up and down, tails swaying side-to-side, heads moving up and down, eyes blinking and jaws opening wide with roaring sound effects. I’m hoping that it’s going to be both educational and entertaining and that we'll have a fun afternoon out next weekend. 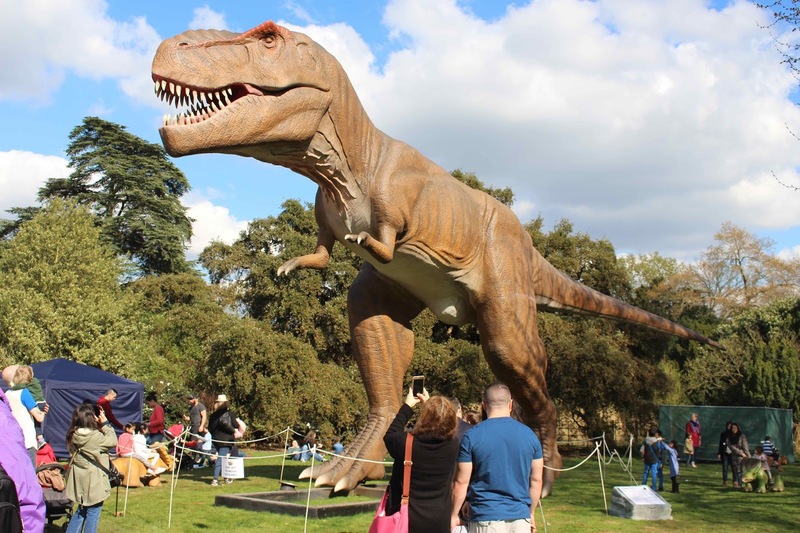 The outdoor dinosaur experience has already been to London, Birmingham, Manchester, Blackpool, and Glasgow and will head to Leeds after its ten days in Newcastle, where it will descend on the city's oldest park. 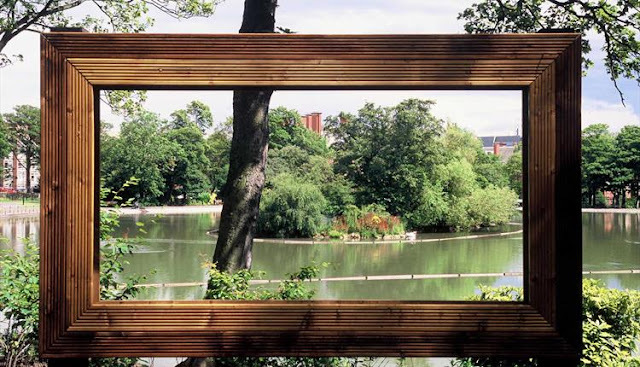 Leazes Park with a tranquil lake is usually a place to escape the hustle and bustle of the city. However, next week, in the oldest green space in Newcastle, you’ll be able to explore and uncover epic life-sized replica dinosaurs from everybody’s favourite, Tyrannosaurus Rex, and Triceratops to flying reptiles like pterosaurs as they blend into the paths, ponds, gardens, woodlands and greenery of the park. 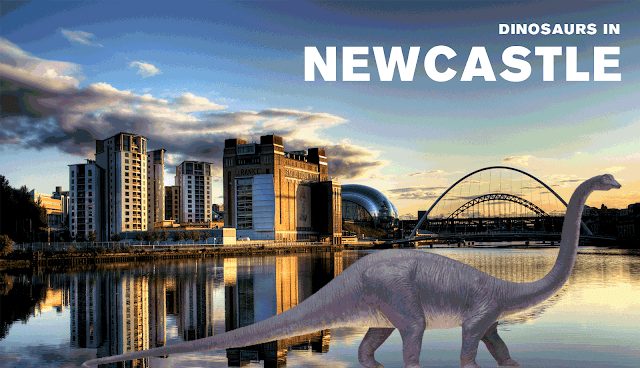 When is Jurassic Kingdom coming to Newcastle? Jurassic Kingdom opens on the 22nd September 2017 and closes on the 1st October 2017. What time is Jurassic Kingdom? It will be open daily from 10am to 6pm daily with last entry at 5pm. Tickets are bought for a specific time slot however once inside you can stay as long as you like. 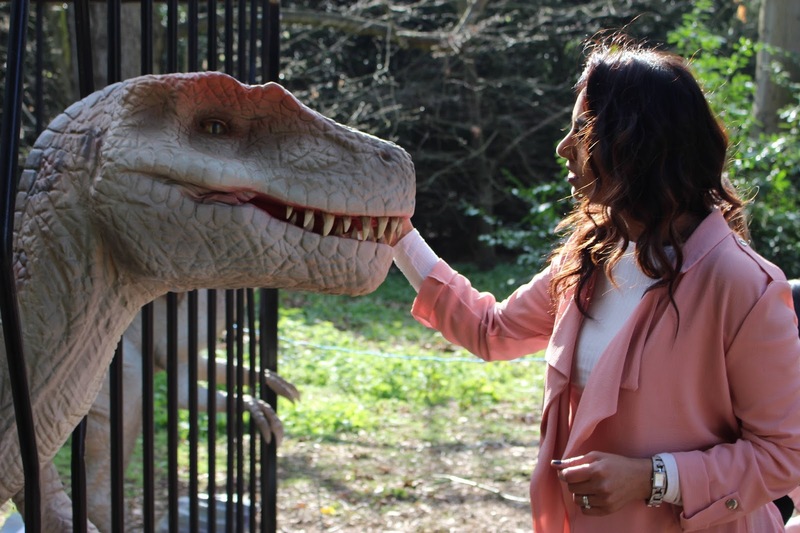 Where is Jurassic Kingdom in Newcastle? Does everyone need a ticket? Children aged 2 and under enter free and do not need a ticket. Child tickets are for ages 3-16. How much does a Jurassic Kingdom ticket cost? Please Note: Tickets are non-refundable and non-exchangeable. The pathways are a mixture of hard standing, grass and dirt track, and temporary plastic pathway. The event route is mostly accessible to wheelchair users and for pushchairs. Please be aware that some areas do have a few steps and some uneven flooring as it is in a public park site. 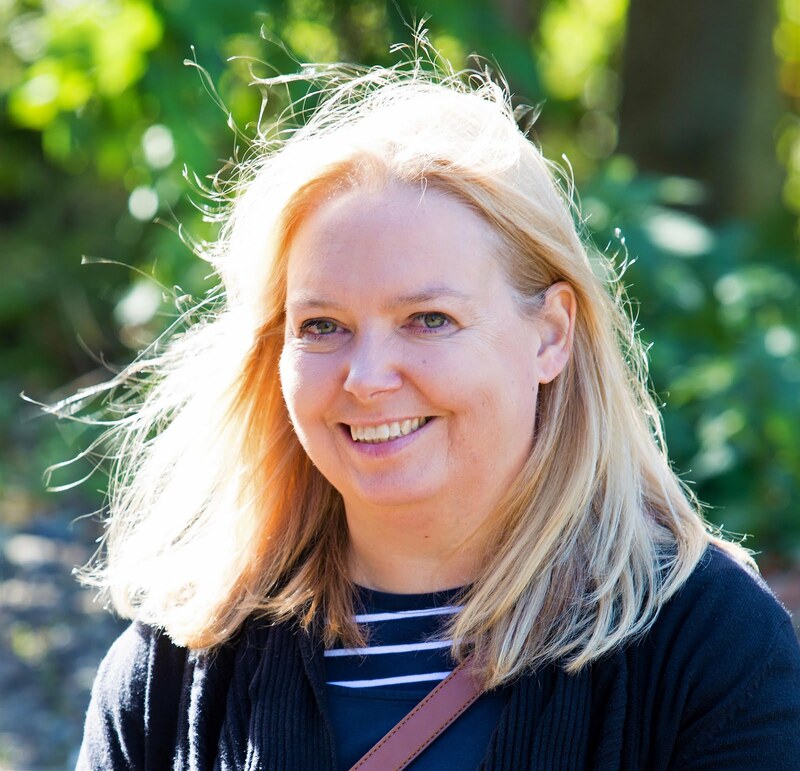 Teams will be onsite are ready to assist any wheelchair users where possible and offer route guidance and advice to help everyone enjoy the event and make the most of their visit. Only guide dogs are permitted. Is there anywhere to store belongings? No. There are no cloakroom facilities at the venue, so visitors will not be able to store bags or large items. Children’s scooters, skates and bicycles are not permitted on site. How do I Get to Jurassic Kingdom in Newcastle? Travel By Car: Follow signs to the RVI (Royal Victoria Infirmary) and then the Leazes Wing which brings you onto Richardson Road. The entrance to Leazes Park is a few yards south of the RVI Leazes Wing entrance. To retain the peace of the park, there is no parking within the grounds but there are local pay and display car parks close to the venue. Please note, parking is very limited so we strongly advise using public transport to avoid causing major traffic jams. Travel by Bus: Numbers 15, 16, 32 and 50 all stop on Richardson Road. Travel by Metro: The nearest metro stations to Leazes Park are Haymarket and St James. 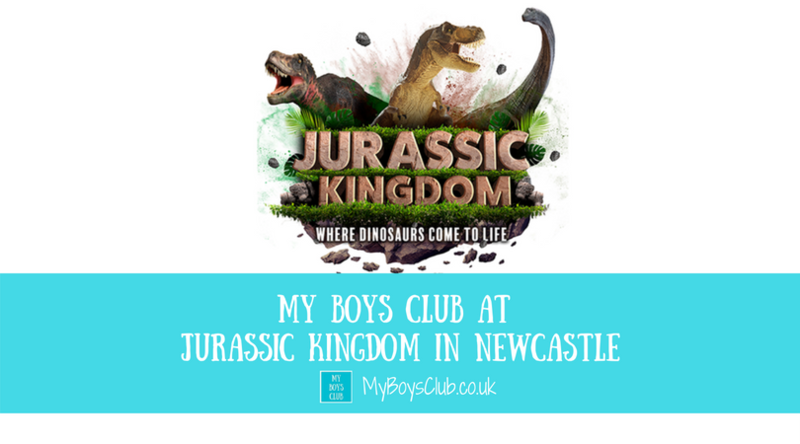 Disclosure: We have not yet been to a Jurassic Kingdom event, but we have received a complimentary family ticket to attend Jurassic Kingdom when it is in Newcastle next week, and the organisers are also providing the competition prize. Photography and images of the event have been supplied by the organisers. I think I'd have to say my favourite was a stegosaurus! Diplodocus is our fave, just the type you'd draw if asked to draw a dinosaur! Diplodocus because that's the one I remember from infant school and was also veggie like me! pteradactyl ( they terrify me).